105, a photo by Florida Warbirds on Flickr. 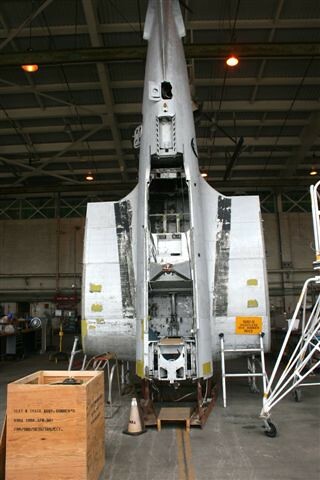 JohnK from the WIX forums has been kind enough to share with us three different sets of photos of restorations currently happening at the National Naval Aviation Museum. The first set is of the restoration of a Dauntless SBD-5 36291, which was crashed during carrier qualification flights in November 1944 on Lake Michigan. It is estimated that it will take 2-3 years to make the restoration complete so that it can be displayed at the museum. For more information about this aircraft, visit the National Naval Aviation Museum website.